For the first time ever, an international team of scientists from Brazil, the United States, and Germany has created a new crop from a wild plant within a single generation using the modern genome editing process CRISPR-Cas9. The team used Solanum pimpinellifolium as the parent plant species, a wild tomato relative from South America, and the progenitor of modern cultivated tomato. 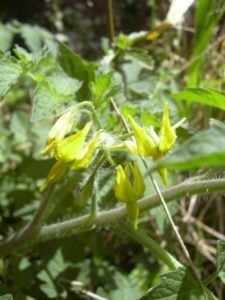 The wild plant’s fruits are as small as the size of peas and the yield is low, but are more aromatic and contains more lycopene than modern tomatoes. The researchers modified the wild tomato using “multiplex CRISPR-Cas9” in such a way that offspring plants bore small genetic modifications in six genes that were recognized by researchers as the genetic key to features in the domesticated tomato. The modified wild tomato bears fruits three times larger, which corresponds to the size of a cherry tomato. There is now 10 times the number of fruits, and their shape is more oval than the round wild fruit. This property is popular because, when it rains, round fruits split open faster than oval fruits. The plants also have a more compact growth. Another important new property is that the lycopene content in the new tomato is more than twice as high as in the wild parent. 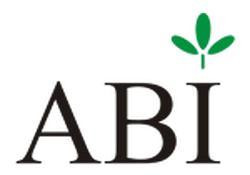 © 2017 Agrobioinstitute. This web site is created with financial support of the project STARBIOS2, European Union’s Horizon 2020 research and innovation programme .